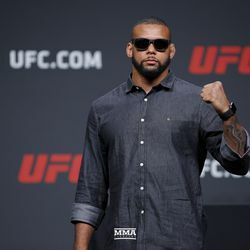 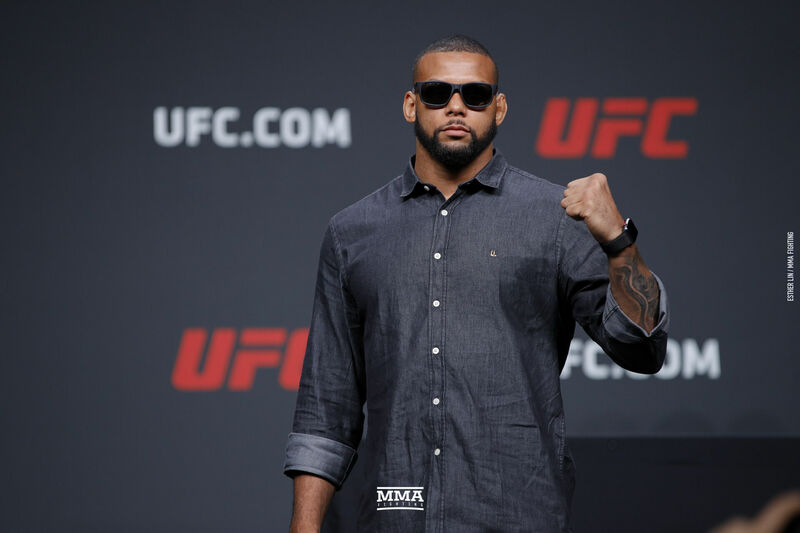 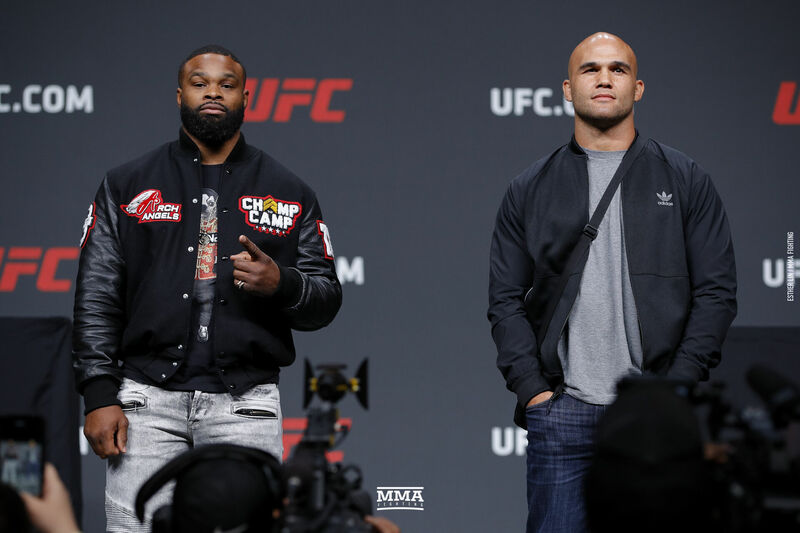 UFC seasonal press conference photos are from Friday’s UFC event in Atlanta. 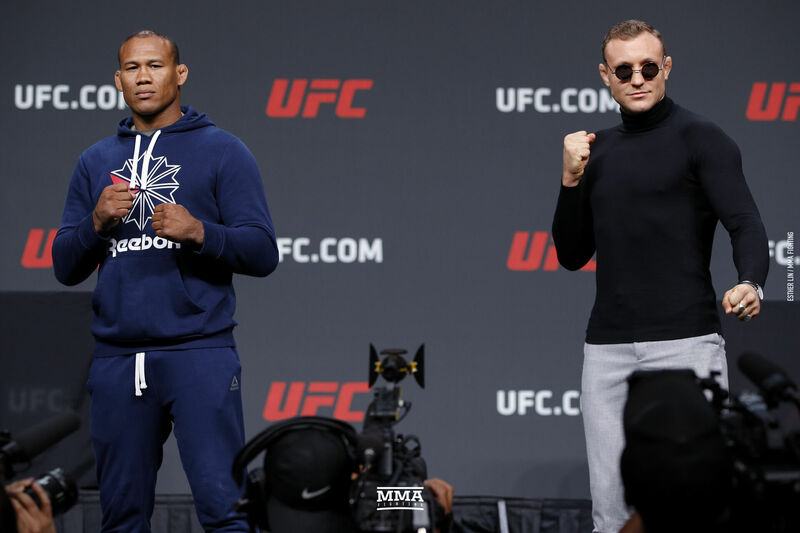 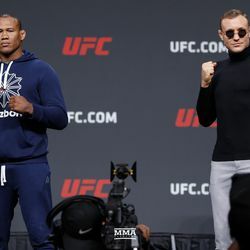 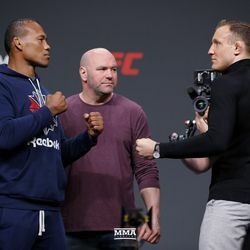 Jacare Souza and Jack Hermansson square off. 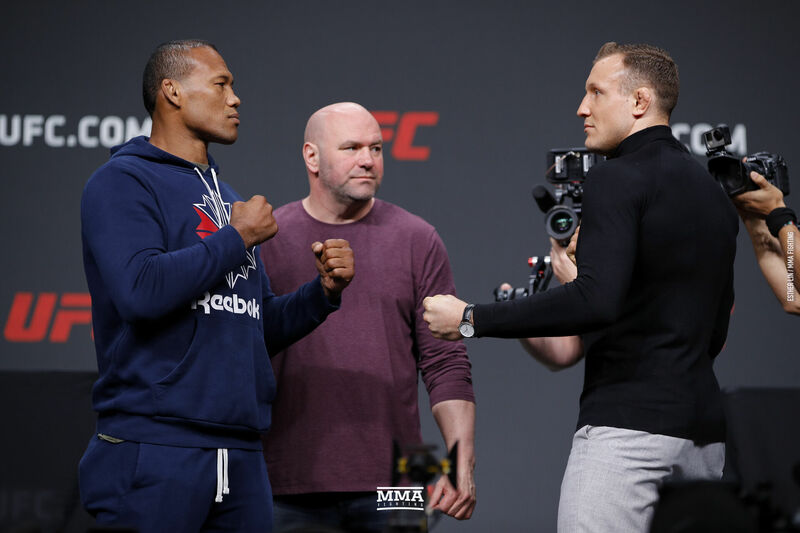 Jacare Souza and Jack Hermansson pose. 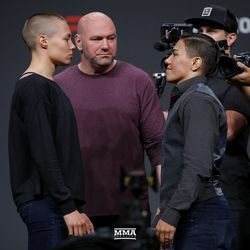 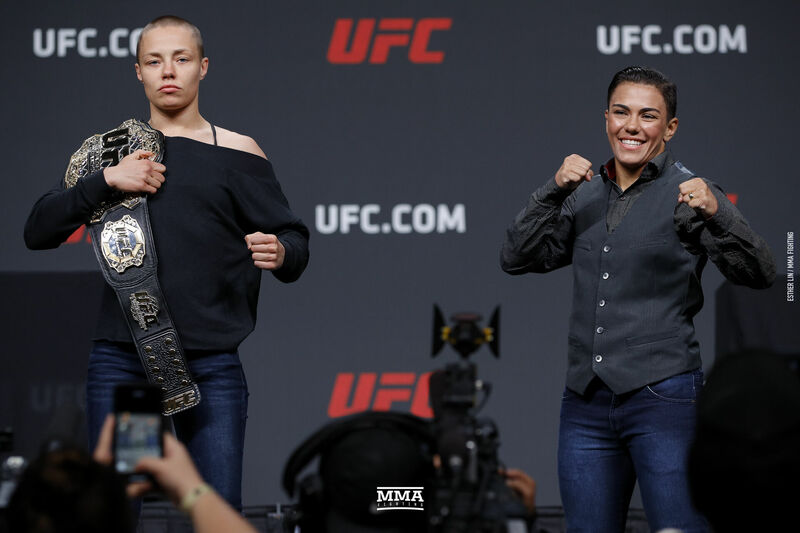 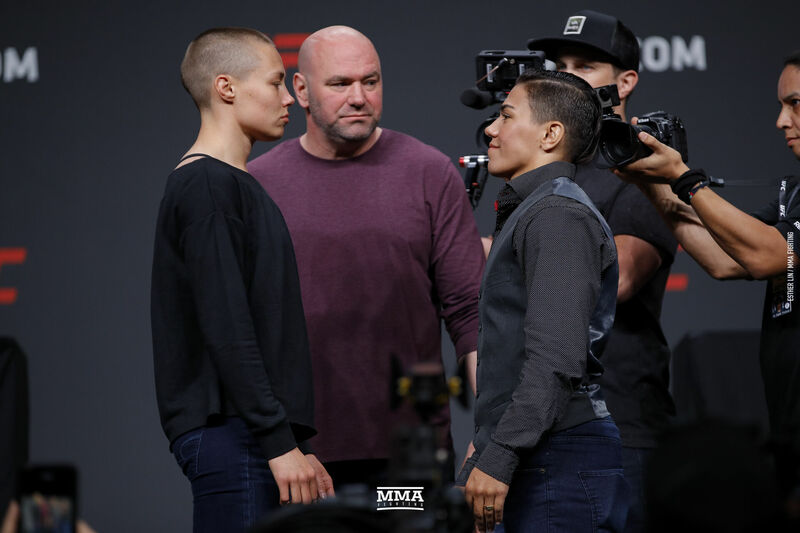 Rose Namajunas and Jessica Andrade pose. 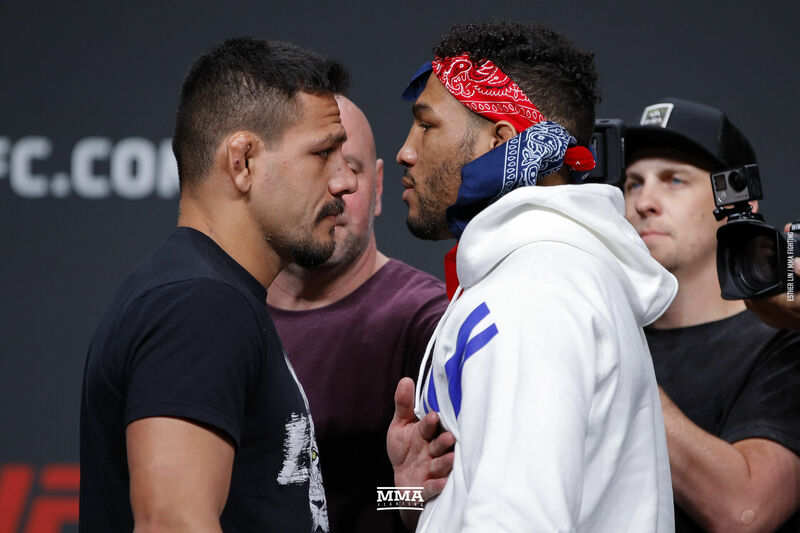 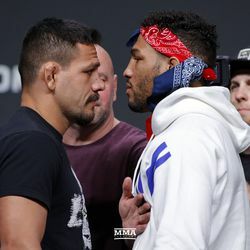 Rafael dos Anjos and Kevin Lee square off. 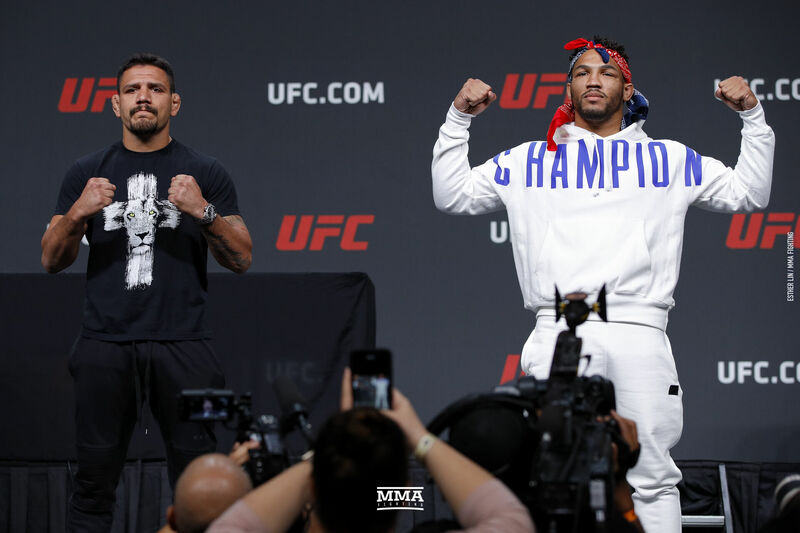 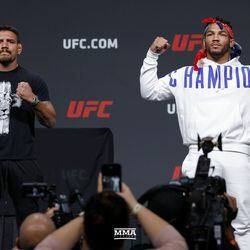 Rafael dos Anjos and Kevin Lee pose. 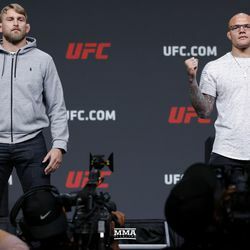 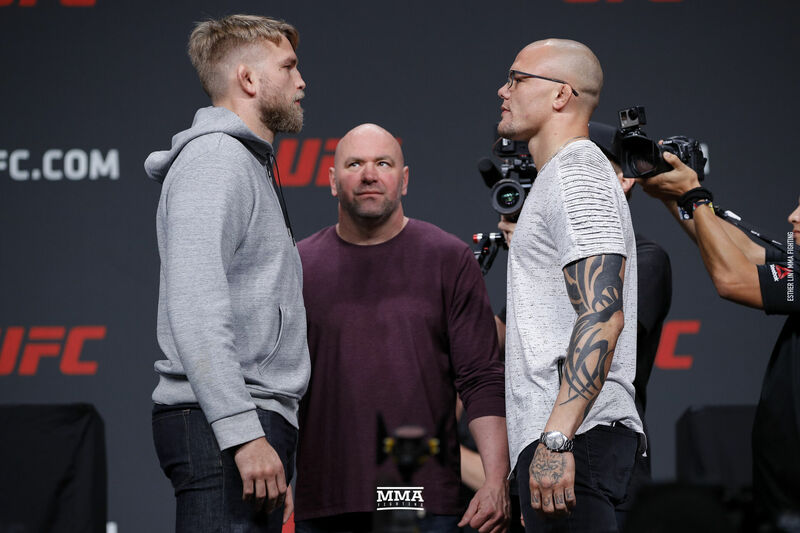 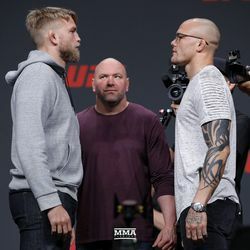 Alexander Gustafsson and Anthony Smith square off. 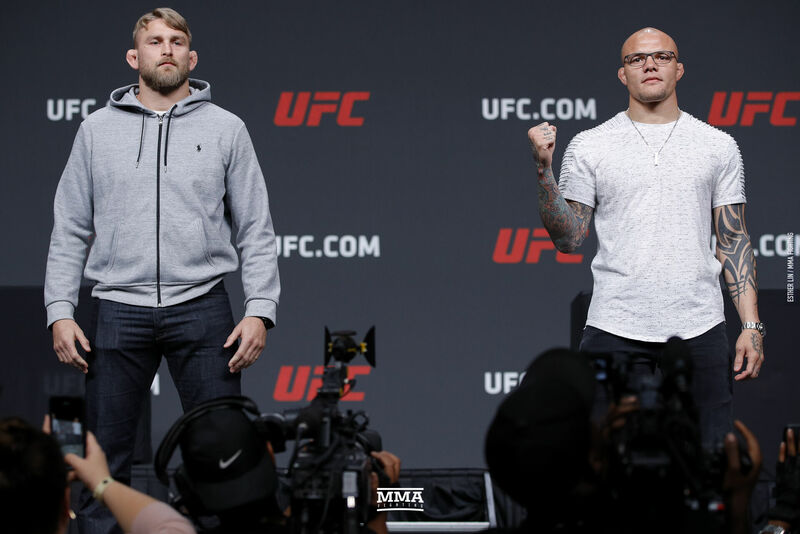 Alexander Gustafsson and Anthony Smith pose. 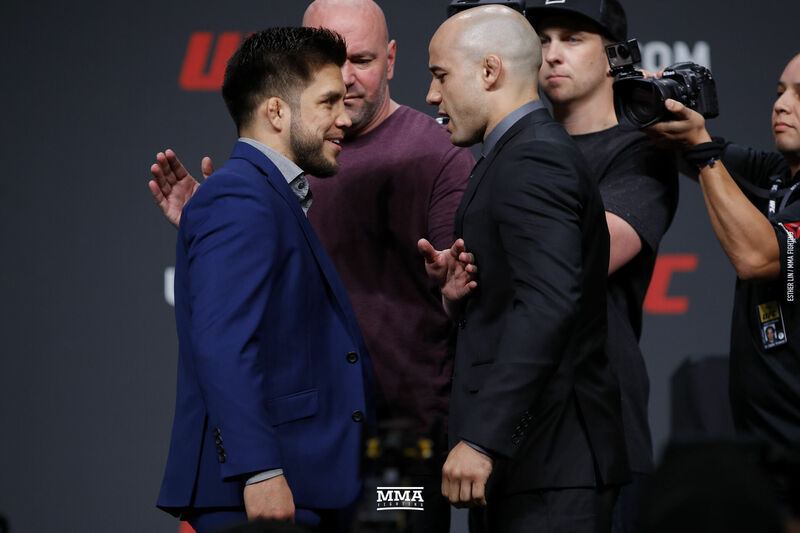 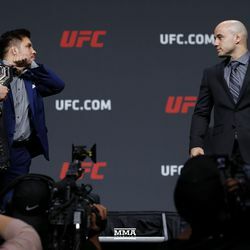 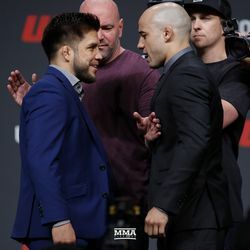 Henry Cejudo and Marlon Moraes square off. 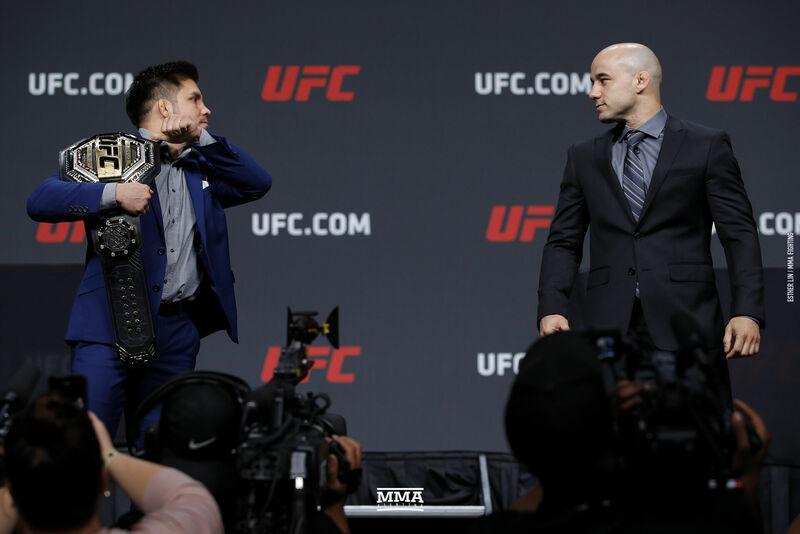 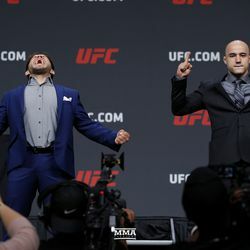 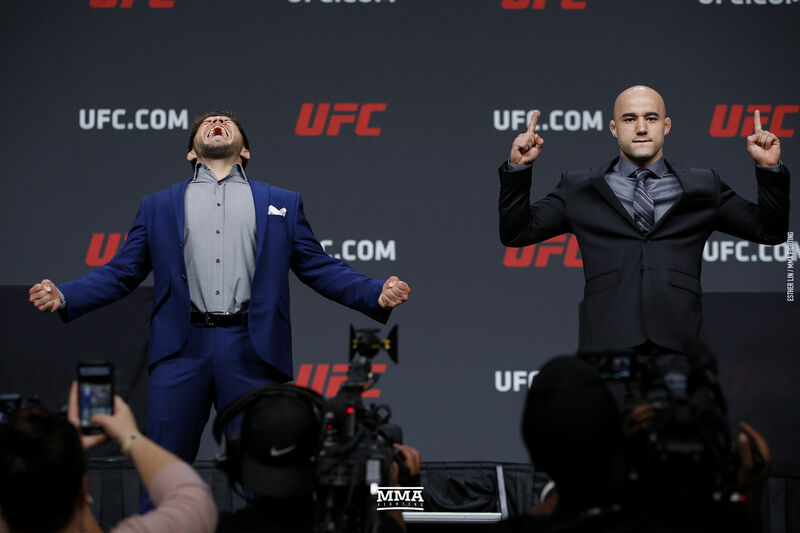 Henry Cejudo and Marlon Moraes pose. 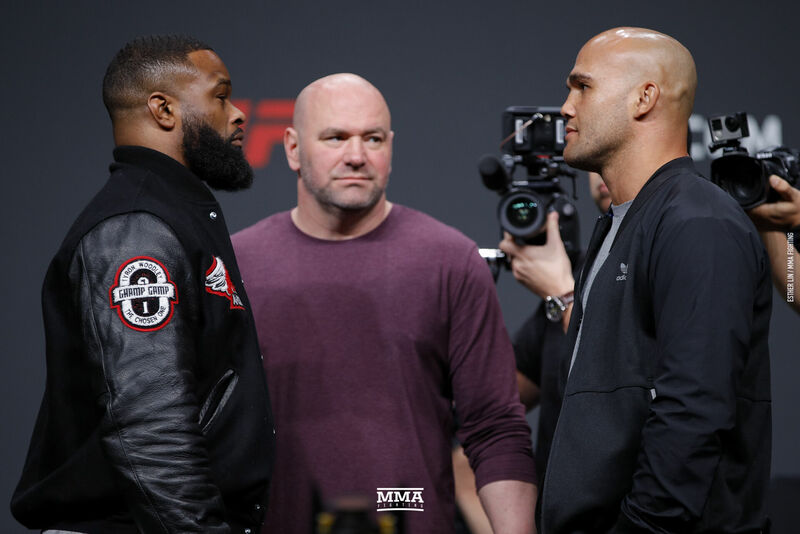 Tyron Woodley and Robbie Lawler square off. 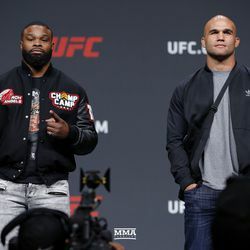 Tyron Woodley and Robbie Lawler pose. 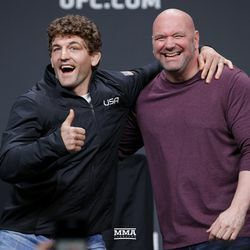 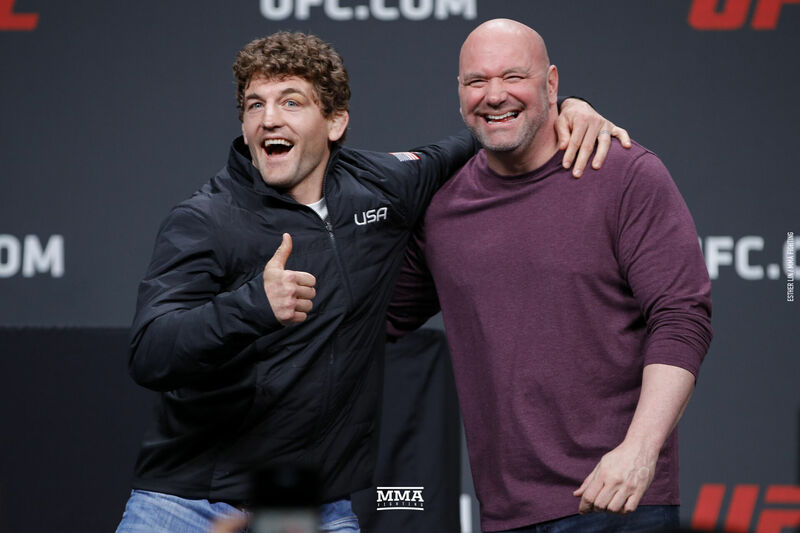 Ben Askren has some fun with Dana White. 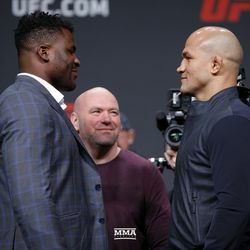 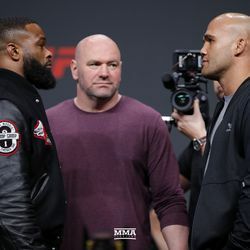 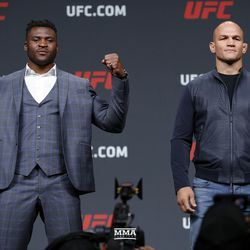 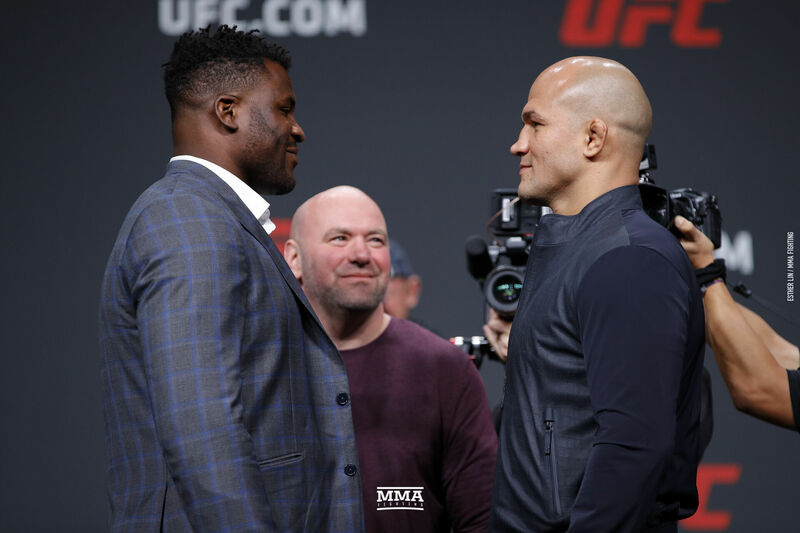 Francis Ngannou and Junior dos Santos square off. 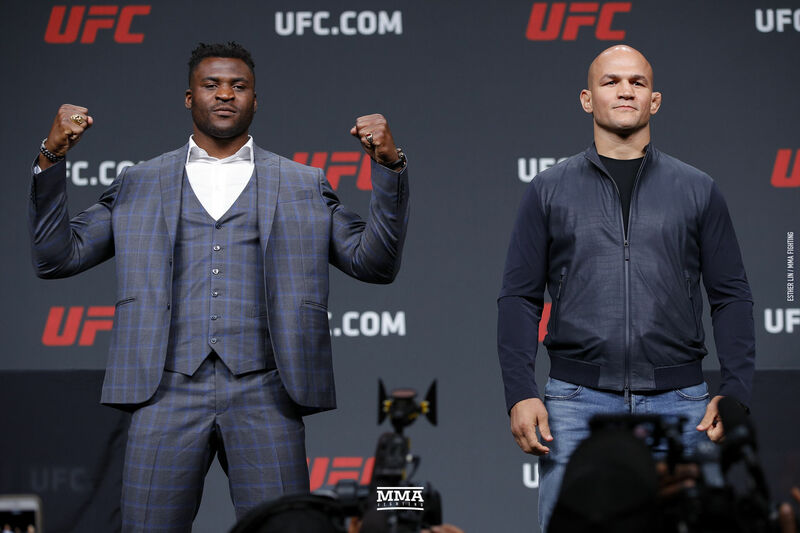 Francis Ngannou and Junior dos Santos pose. 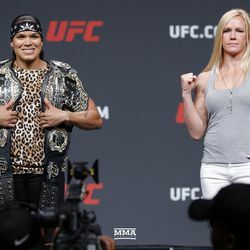 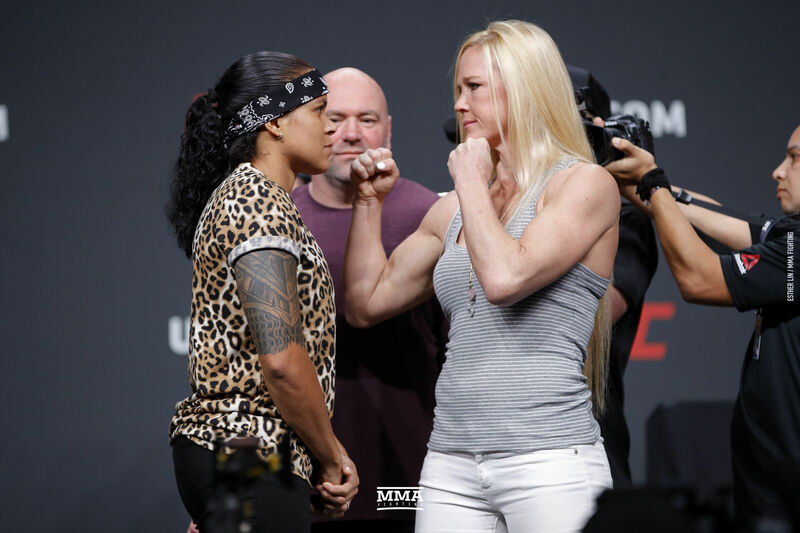 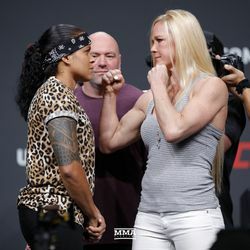 Amanda Nunes and Holly Holm square off. 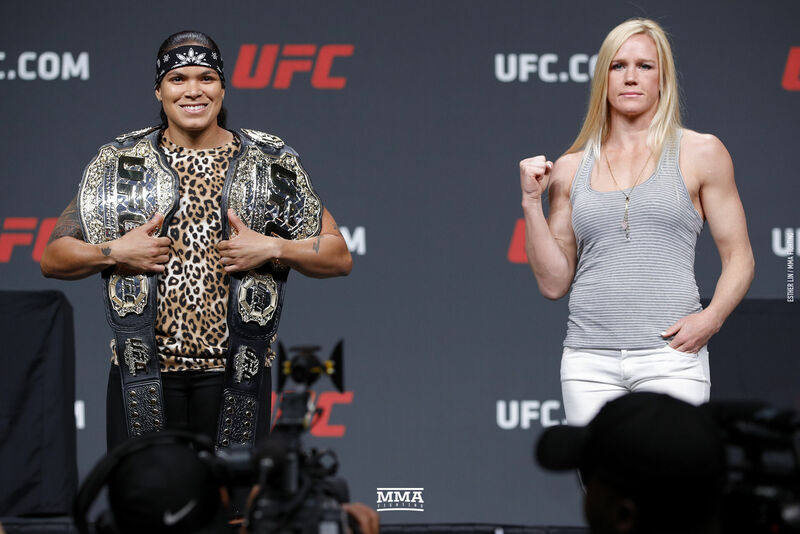 Amanda Nunes and Holly Holm pose.